Welcome to the Best Little Pickleball Club in Arizona! ​Promoting and teaching the game of pickleball to individuals of all ages while encouraging sportsmanship and camaraderie through fun and exercise. Supporting community organizations through volunteerism activities as representatives of the FHPBC. Continuing to support the town strategic plan by providing alternative and affordable recreation while in partnership with Parks and Recreation and the Fountain Hills High School District. Encouraging individual membership in the USA Pickleball Association and promoting the town of Fountain Hills. Pickleball mania is alive and well in the hills of Arizona. Fountain Hills has seven pickleball courts (four lighted) where a fun-loving group gets together three to four times a week (or more!) to play, exercise and improve their pickleball skills. Who says you can’t get the benefit of exercise and have fun, too? How to become a member of the Fountain Hills Pickleball Club. How to play if you are not a member. Membership fee schedule. Calender and Agenda views of the FH Pickleball Club days and hours of play, organized by player level and court location. Grab some popcorn and watch these helpful and entertaining videos produced by your very own, local Pickleball Guys. An abbreviated outline of pickleball rules and a great starting point for new players to get an overview of how the game is played. 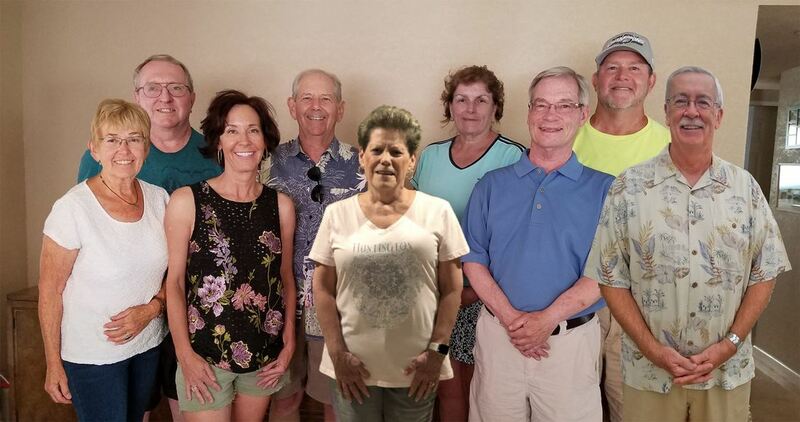 ​The purpose of the Advisory Board is to serve the Fountain Hills Pickleball Club membership by acting as a coordinating group for all activities related to club membership. All members of the Advisory Board serve in a volunteer capacity. The Advisory Board schedules periodic meetings, as needed, to review and evaluate club activities. Member suggestions are encouraged. If you have a suggestion, contact a member of the board or send your comments via the contact form.